We maintain standard hygienic process at the time of manufacturing. No harmful flavours are added which will keep you healthy. Apna Sweets committed to your health so we use Pure Ghee only because as per our tag line “We Always Think To Make Healthy Relations”. Once we are in relationship, cure and care naturally generated. You will enjoy the “Taste of Malwa”. 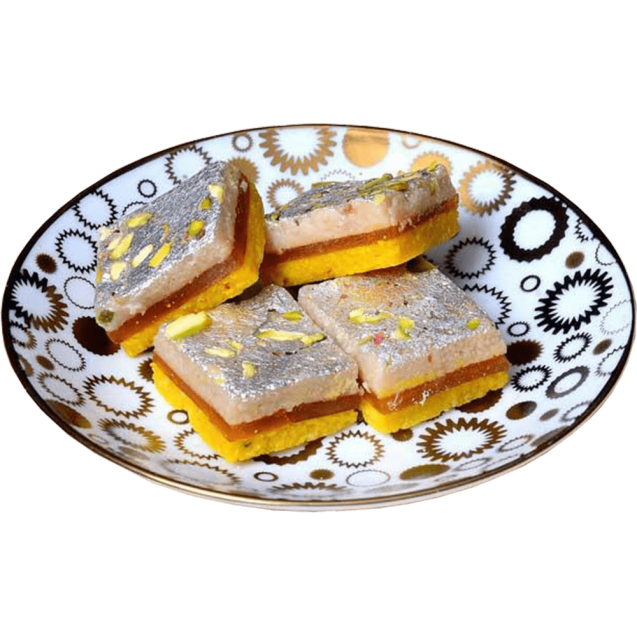 Shelf life of Mango Barfi is 10-15 days (In Special Condition). Cashew, Mango Pulp, Pista, Rose Essence, Saffron, Sugar, Ghee.